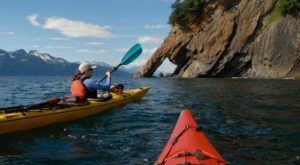 Of course Alaska is the largest state, but we have many other claims to fame as well. 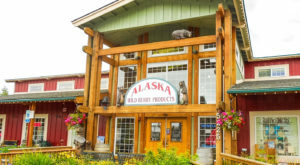 Not the least of which is the World’s Largest Chocolate Waterfall at the Alaska Wild Berry Products. 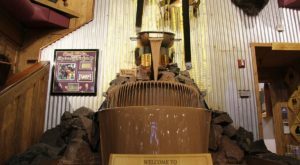 This enormous chocolate waterfall is one of the wonders of the state and you won’t want to miss taking a visit. 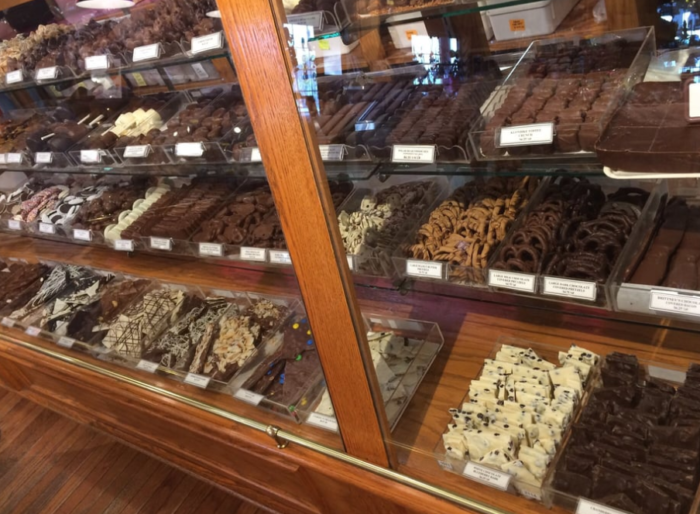 You can taste all of the delicious chocolate and berry items they have available and see how chocolate is made. 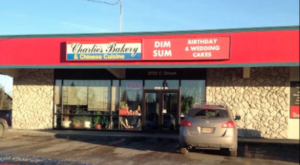 Visit them here in Anchorage and all your chocolate factory dreams will come to life. You can watch the chocolatiers make the chocolate, taste the delicious treats and gaze at the enormous, amazing chocolate waterfall. The falls churn 3400 pounds of real, liquid chocolate! It isn't for eating, however, just for display. The chocolate is donated by the Peter's Chocolate Division of Nestle Foods and Guittard Chocolate Company. The chocolate waterfall is constructed with authentic copper candy kettles and a specially built warming and mixing system. 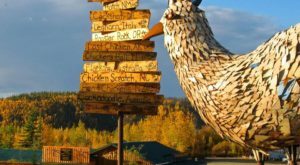 It was designed and constructed by Homer artist Mike Sirl based on an idea by Alaska Wild Berry Products Owner Peter Eden. 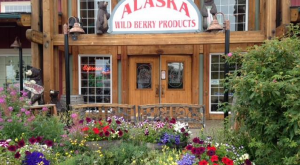 Alaska WIld Berry products are sold extensively throughout the state and are made on site at their central factory and showroom in Anchorage. 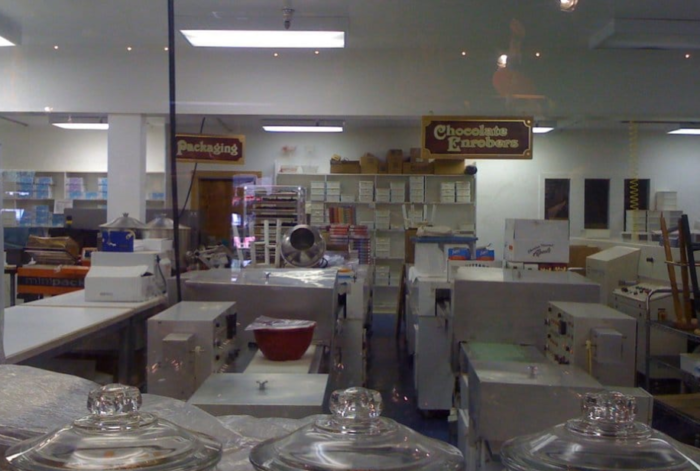 The main chocolate factory area is behind glass, so you can watch the chocolatiers create the delightful confections. Enrobing is the process of coating things in chocolate from berries to marchmallows to strips of bacon, they do it all, and have them available fresh at the shop. There are four kitchens to explore: Jam and Jelly Kitchen, Hot Kitchen, Candy Kitchen, and the Molding Room. Each has it's own function and free samples! Chocolate of many kinds are created on site including decadent truffles and caramel turtles. 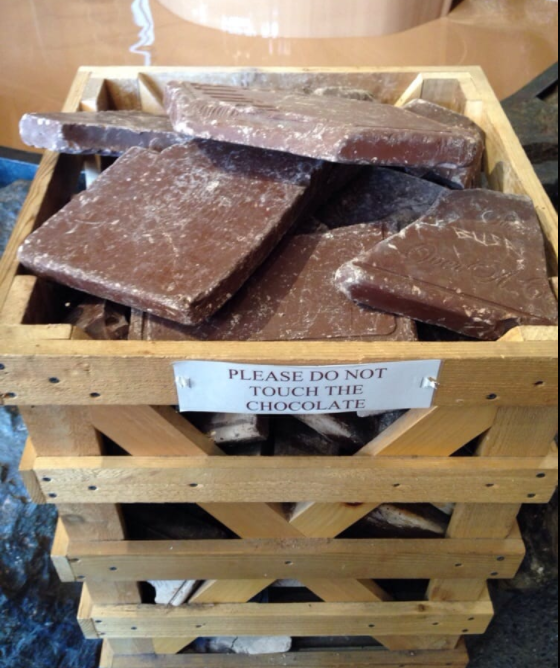 The results are displayed in richly laden cases with thousands of pounds of chocolate sold each day. 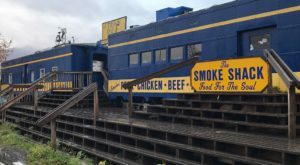 The company has been feeding candy and jams to the people of Alaska since 1946. 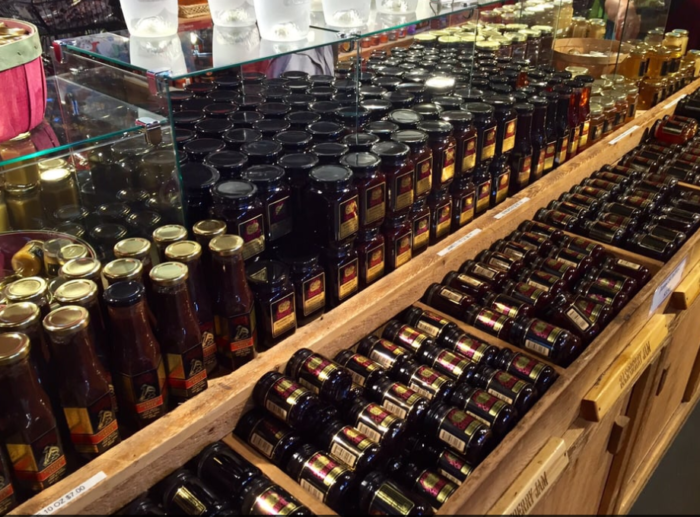 A wide variety of wild berry jams, jellies, and syrups are also mode on site. You can see and sample these sweets at the Jam & Jelly room in the same location. 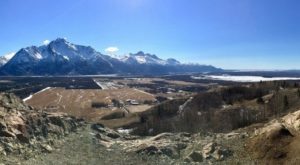 A quick walk in the park is always nice. 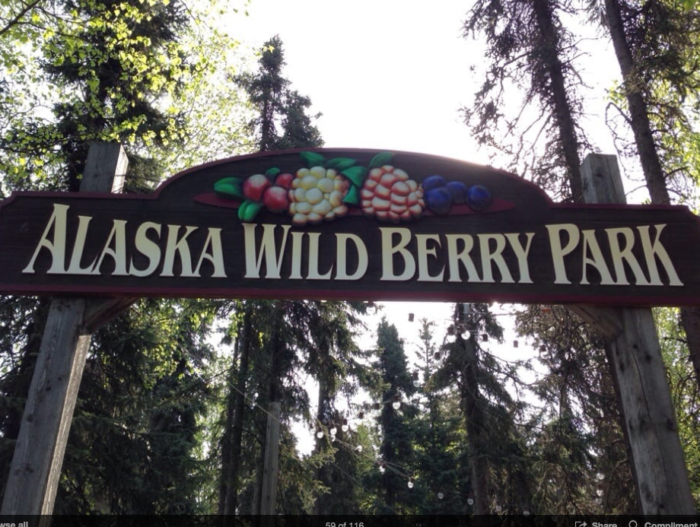 There are picnic tables and the beauty of Alaska to enjoy while you snack on chocolate treats. A pleasing sound is created as chocolate gushes out of the fountain head, cascades into the copper kettles, then settles in the swirling pool of molten chocolate. 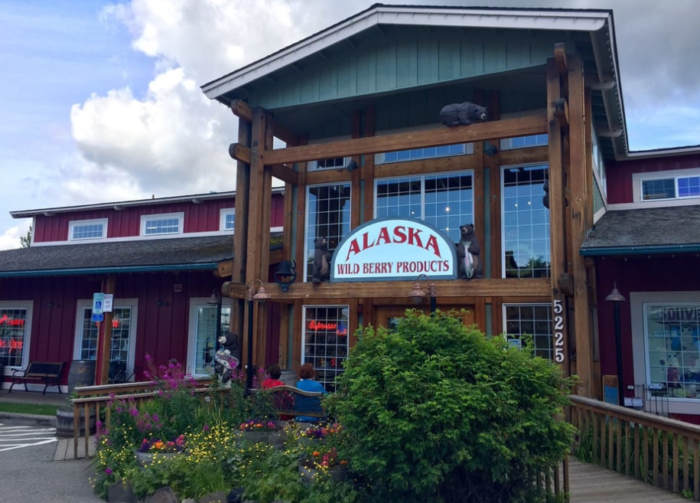 Kids, and kids at heart, will love a visit to the world's largest chocolate waterfall, and it's only in Alaska. 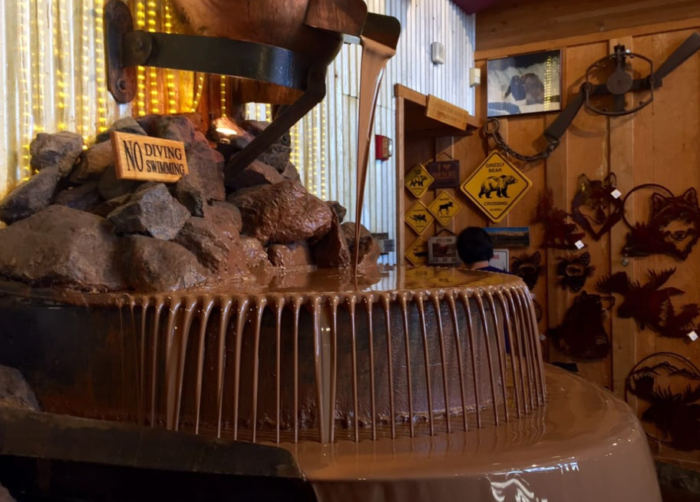 Have you been to the world’s largest chocolate waterfall? Tell us about it in the comments below.